How to change your user name, email address and more. 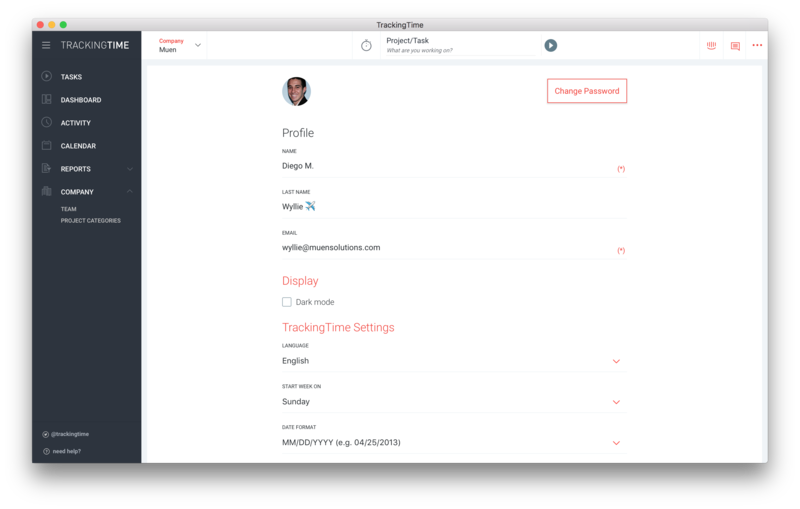 Enter your name and email address so that the rest of your team can easily identify you inside the TrackingTime account. You can update following settings anytime. Email: Enter a valid email address for your account. You’ll use this to sign in and also to receive notifications and important updates from TrackingTime. Display: Choose between light and dark mode for the user interface. Note: Email addresses are unique within TrackingTime.